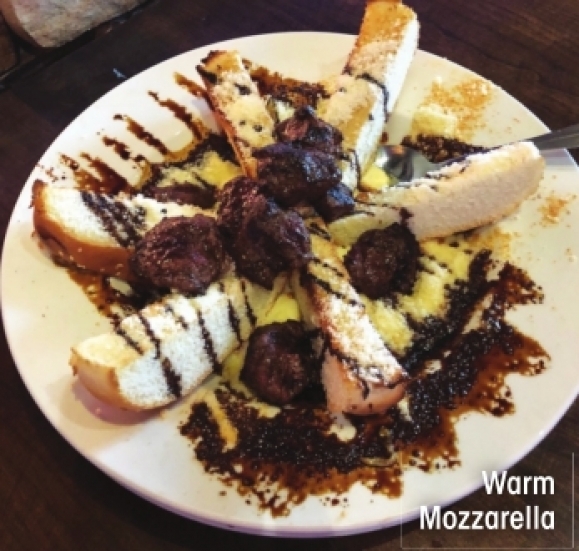 Warm Mozzarella – Creamy mozzarella cheese baked and topped with balsamic reduction, roasted tomatoes, fresh basil and toasted bread sticks. You can add beef tenderloin bites, which is exactly what we did. You really could make this appetizer your meal, but don’t because there’s so much more good food on the menu. 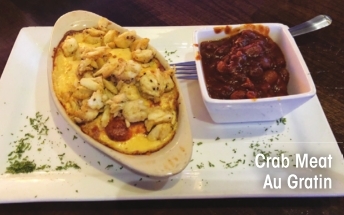 Crab Meat Au Gratin – Jumbo lump crab meat atop their legendary au gratin potatoes. I foolishly asked my date if that was all she was ordering for dinner. Little did I know that it would be more than enough for her entire meal. 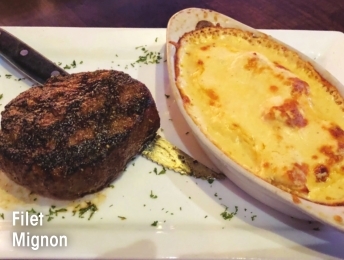 Filet Mignon – You can’t go to Silver Star and not get a steak. They’re delicious. And when you pair them with a house salad with its spicy ranch dressing, along with those legendary potatoes, you can’t go wrong. Potatoes and salad aren’t your thing? They have more than 10 sides from which to choose. 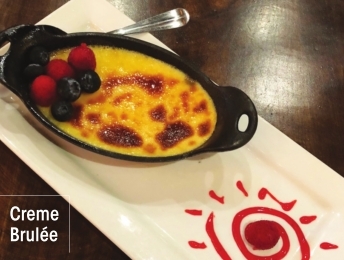 Creme Brulee – Crispy and crunchy on top, creamy on the bottom, served with fresh fruit. 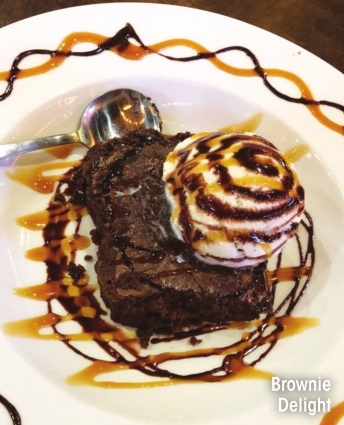 Brownie Delight – A rich chocolate brownie, topped with vanilla ice cream, covered in chocolate and caramel sauces. Always a great choice. Rib Platter – Comes in three sizes so that you never leave hungry. Au Gratin Potatoes – I promise I won’t mention them again in the article, but that’s how good they are. You don’t dine at a Silver Star restaurant and not get the potatoes. Silver Star Nachos – Your choice of chopped brisket or pulled pork over tortilla chips, freshly grated cheese, BBQ sauce and pickled jalapenos. Cheeseburger – Certified Angus beef topped with cheddar cheese, romaine, red onion, mayo, mustard, pickled jalapenos and pickled cucumbers, served on a sourdough bun. While stays true to its BBQ roots, this location is a bit more upscale atmosphere and menu than the Bossier City location. Reminds me of David Alvis’ previous restaurant, Texas Street Tavern. Monday – Friday: 2 - 6:30 p.m. Includes special pricing for mixed drinks, frozen drinks, wine and beer.